Toronto, April 4: As compensation for the killing of their father Jamal Khashoggi, his four children are to be compensated in real estate and monthly allowances totalling up to US $70 million, according to a report in CNN. The report citing an unnamed source said Khashoggi's four children have been provided homes worth as much as $4 million each. 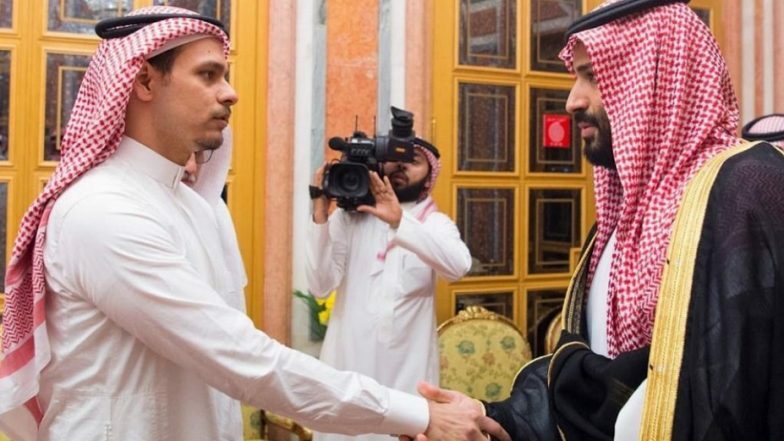 Salah Khashoggi, who was pictured meeting Crown Prince Mohammed bin Salman after the killing of his father, has been given a large home in Jeddah, where he works as a banker, the source said. His brother, Abdullah, and two sisters have been given houses together in a different compound. The compensation which includes houses, one-time payments and monthly allowances were approved by Saudi King Salman himself, the source said. It is part of what one former official described as an acknowledgement that "a big injustice has been done" and an attempt "to make a wrong right", the report said. In addition to the real estate, the Saudi journalist’s children each received a one-time payment of 1 million Saudi Riyals (approx. US $267,000) and will also receive a monthly stipend of $10,000 to $15,000 each, which would continue indefinitely, according to the source. The blood money is a form of compensation to the kin of a victim, according to Islamic Sharia law, and is adhered to in Muslim countries. The compensation was first reported by the Washington Post where Khashoggi was a columnist before he was murdered in the Saudi Consulate in Istanbul. The brutal murder of Khashoggi has brought international censure upon Saudi Arabia and the Saudi Crown Prince himself has been accused of ordering the killing of the journalist, according to Turkey and the U.S.’s CIA. However, Saudi Arabia has denied that Crown Prince Mohammed bin Salman had anything to do with Khashoggi’s murder and has put on trial 11 men from the intelligence and armed services, who were said to have carried out the brutal murder.